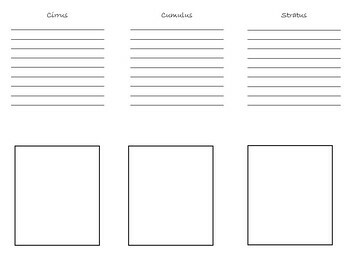 This is a graphic organizer to be used after learning about the 3 basic cloud types: cumulus, cirrus, and stratus. Students write facts about each type. They also write how clouds are formed and compare how 2 types are alike and different. 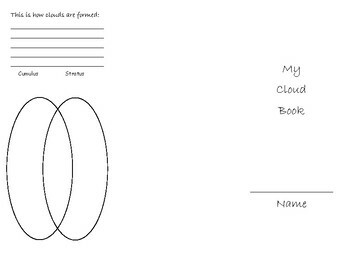 This works well during guided reading books using leveled books about clouds. Copy back to back and fold into thirds.